$15 for $20 Monday - Thursday Deal. BUY NOW this deal for $15 and get $20 value at checkout. PRINT your emailed paid voucher and present at counter to redeem. MUST have your PRINTED receipt to redeem, no exceptions. Voucher expires 30 days from purchase, $15 paid never expires. Can not combine with other offers. No cash value and NO refunds. Merchant is 100% responsible for goods sold. GET up to $9 FREE on any Appetizer ANYTIME with purchase of $30 or more of food & drink not including tax @ BIG TOMMY's. DINE-IN ONLY. From Computer, CLAIM this offer, then PRINT your emailed Claim receipt and present to REDEEM. ON mobile app, JUST show coupon on Mobile app to redeem. No need to BUY or PRINT coupon. One per visit, One per table, cannot be used in combination with other offers. 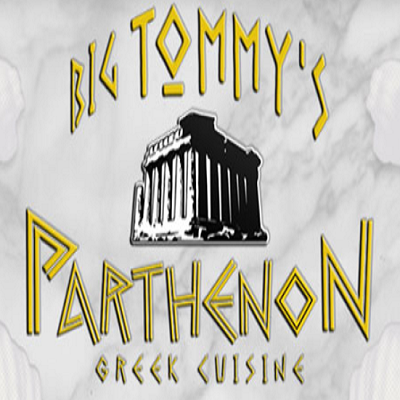 Coupons, Deals, Vouchers, Tickets for Big Tommy's Parthenon & Big Tommy's Comedy Club. On Grand River in Novi. Serving Novi, Northville, Plymouth, Canton, West Bloomfield, Bloomfield Hills, South Lyon, Farmington, Farmington Hills, Livonia, Royal Oak, Wixom, Howell, New Hudson, Southfield, Redford, Westland, & Detroit.